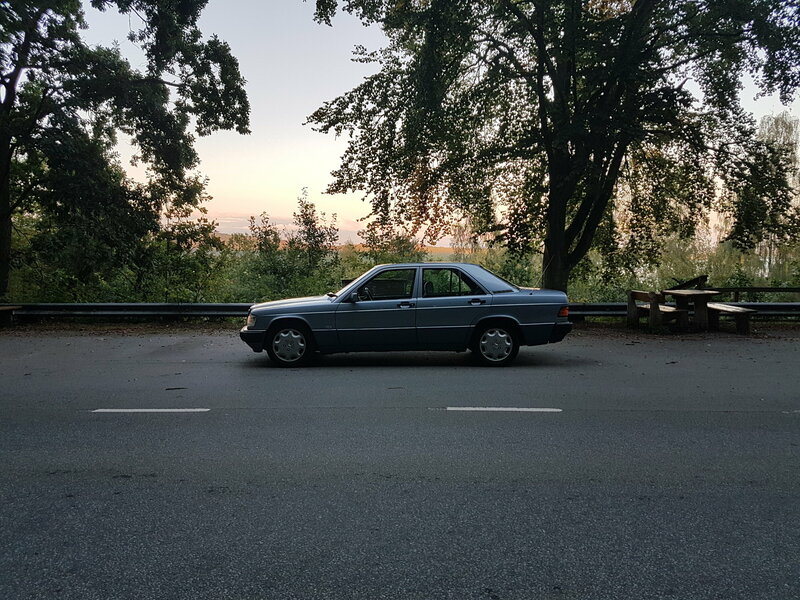 Just bought this super nice 190e 2.3 in ice blue that i will restore to former glory. Its mostly small stuff, the car is really great. But i need some help on lowering, wheels and tires since thats the only thing that wont be stock. lets talk about the lowering. I like how the car rides allready, i just what it a bit lower for the looks and a little bit stiffer, but i would still like to keep the oem feel of old Mercedes and be able to drive it like oem. Im thinking about getting koni str orange and 40mm hr springs. Thoughts on this? when lowerd 40mm, i been looking at to diffrent set of 15" wheels, the first is et25 and the other is et35. The are stated to work with w201 but im not sure? Would they stick out to much and affect the ride? if i go with any of These wheels, which tires should i choose? I'm just getting into these cars however I think the best two wheels sizes are 17 and 16, 17s being the first choice. Again this would be for those on air ride, however lowered cars pretty much all have the same needs/looks. At the moment I don't have much info on offsets. What I would do and plan to do, is take a wheel off and check out the printed et on the wheel. say its et45, (this is rough) but for each half inch you add to your lip you subtract 6mm of offset (for three peice wheels). If you want to push the wheel out to make it flush or almost flush with spacers or proper offset you could also measure with a ruler. Again rough but say et45, making a straightedge with wheel and fender measure the distance that the fender well has, say 15mm. et45-15 = et30 again this is all rough estimates. id rather purchase a few spacers from the local auto body shop and add them to the hub and then place the wheel back on to give you a good idea of the look with each offset. this is just for looks and prep to buy your new wheels and not intending for road use unless you have the correct lug nut length to accommodate the spacers.